The ARC Advisory Group has posted an online survey to collect responses regarding the current trends and the main drivers for adopting Asset Lifecycle Information Management (ALIM) by industrial facilities – find out more about the survey and how you can be heard too. Leading technology and advisory firm, ARC has been doing research in Asset Lifecycle and Performance Management for over two decades. In this process, they have developed numerous reports, studies, surveys and identified successful technologies and best practices that companies can use to improve the performance in this vital area. According to ARC, the industries with vision are looking for opportunities to reduce the cost of maintaining their assets, improve data handover, and ensure that information is accurate and readily accessible to all stakeholders. Owner operators in these industries face a number of common issues related to having the right tools and accurate asset information. Meeting these challenges can be incredibly complex and time-consuming, draining resources and hindering business agility. Establishing a solid ALIM strategy is one of the most important steps an organization needs to take in order to achieve operational excellence. Over the past years ARC experts have dedicated more time and resources to research the concept of Asset Lifecycle Information Management. 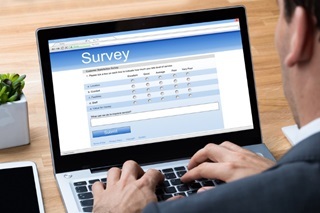 The last survey dates from 2014 and because major trends such as Industrial Internet of Things, Big Data, Artificial Intelligence and supply chain optimization transform organizations rapidly, ARC has decided to run a new ALIM survey. The survey takes an in-depth look at the latest developments, industry trends, and best practices. It is meant for owner operators of process plants and other capital-intensive industrial facilities. The main objective of the survey is to evaluate the approach organizations are taking to asset data and identify the areas of greatest opportunities. Those who will complete the survey will receive a free summary report with external perspective on how other peers in the industry are managing their asset information. The survey will remain open until December 2016 and will take approximately 30 minutes to complete. Find out how ALIM strategy can benefit your organization. Continue reading this article on our website.